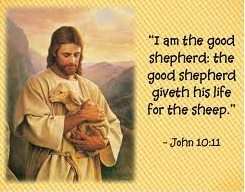 u In describing the Lord as a shepherd, David wrote out of his own experience because he had spent his early years caring for sheep. Sheep are completely dependent on the Shepherd for provision, guidance, and protection. The New Testament calls Jesus the good shepherd; the great Shepherd; and the Chief Shepherd. 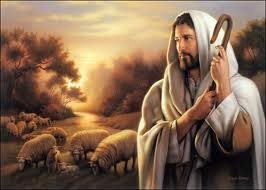 As the Lord is the good shepherd, so we are his sheep -- not frightened, passive animals, but obedient followers, wise enough to follow one who will lead us in the right places and in right ways. This psalm does not focus on the animal-like qualities of sheep, but on the discipleship qualities of those who follow. 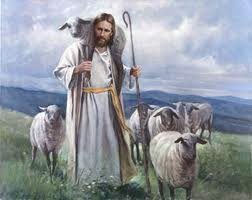 when you recognize the good shepherd, follow him! Because the Lord is my Shepherd, I have everything I need! 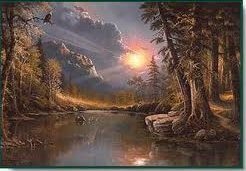 David's psalm is a joyful proclamation of God's providence. 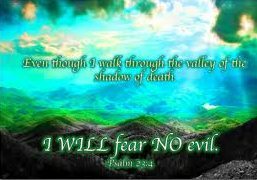 Humankind can live free from fear because, like the good shepherd, God will always provide, protect, and guide this flock. "You anoint my head with oil" - When a king made a covenant with a vassal, he often sealed it by holding a banquet. During the festivities, it was customary to anoint the head of his guests with oil as a sign of friendship and protection.